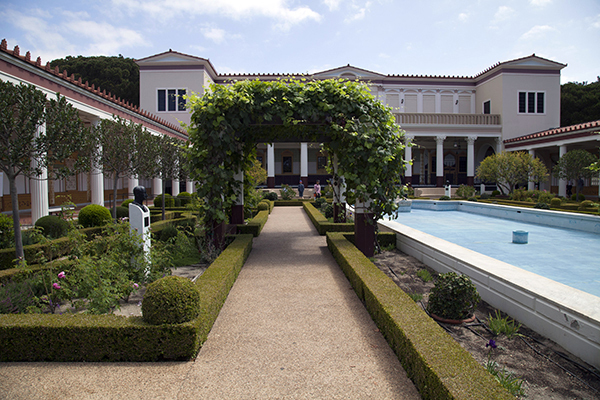 A replica of a first-century Roman country house, the Getty Villa is a beautiful sight to behold. 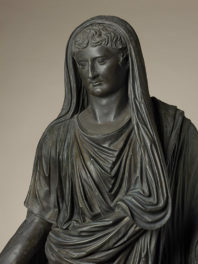 The centuries-old art and artifacts make us feel as if we have traveled back in time and help us imagine what life would have been like in ancient Greece or Rome. But after all the fun, there’s still be a sense of distance between the galleries and the modern world. 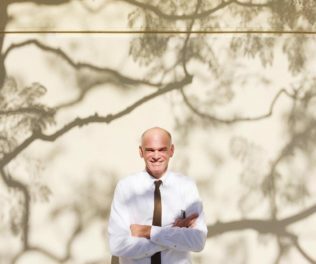 After all, we’re living 20 centuries apart; how similar could we really be? Very similar, apparently. This summer’s ArtQuest! 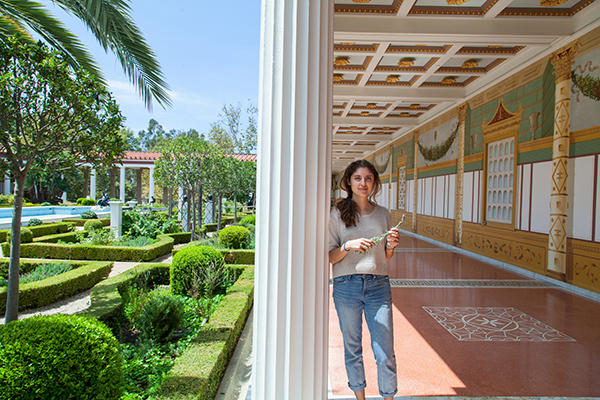 workshop series, created by L.A. artist and designer Becca Lofchie (pictured above) in partnership with educators at the J. Paul Getty Museum, shows how even the simplest things in our world—in this case, herbs—can help us find connections to the ancient Greeks and Romans. 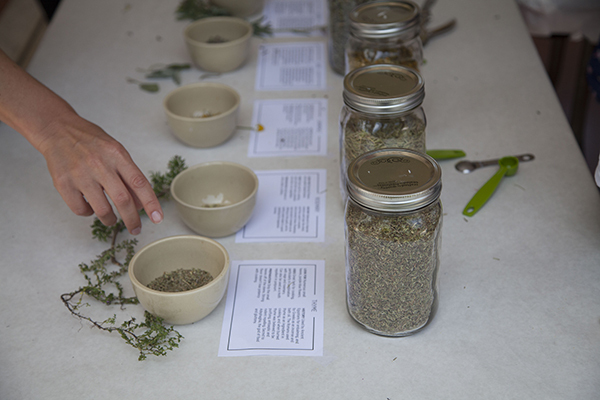 Titled Scent, Spice, Salve, the workshop features a simple hands-on activity designed by Becca that shows visitors how herbs used centuries ago are still commonly used today. 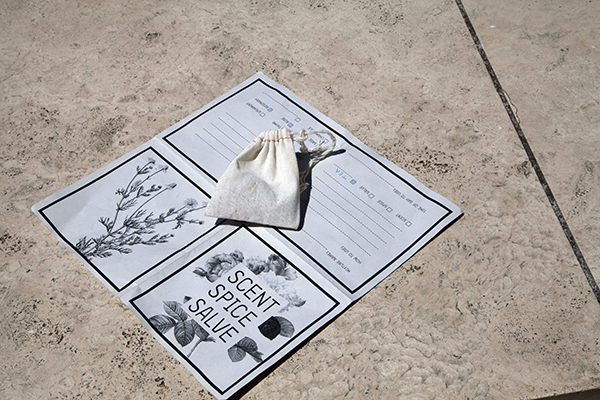 Open to both adults and children, the activity begins with a free pamphlet containing information on seven herbs chosen by Becca. 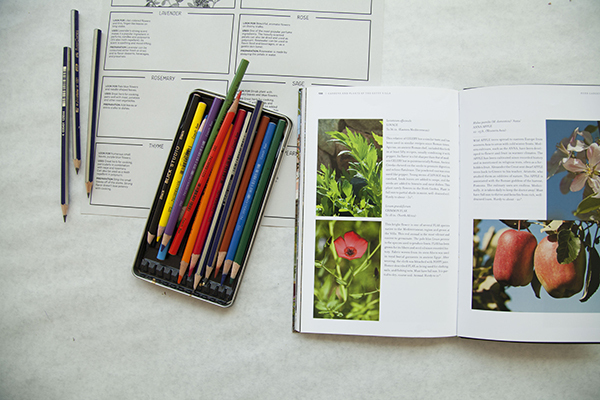 Visitors go sleuthing for the herbs in the Villa’s own Herb Garden, then draw and color in their booklets and write a poem inspired by the scents. 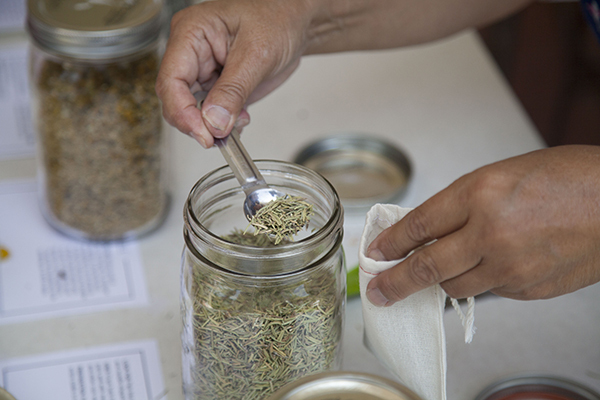 Participants leave with small sachets filled with their own favorite herbal blends, to use for aromatherapy, seasoning, or tea. Becca told me she wanted to show visitors that the herbs in Villa’s gardens and the herbs they themselves grow or eat in their own homes share a common history, functions, and meanings. 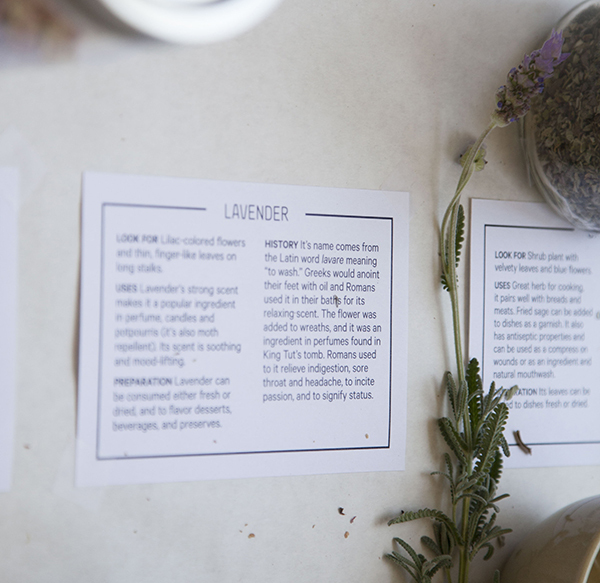 The booklet, designed by Becca, contains brief texts about the physical appearance and usage of each of the seven herbs, with space left blank for participants to sketch in and color the herbs. 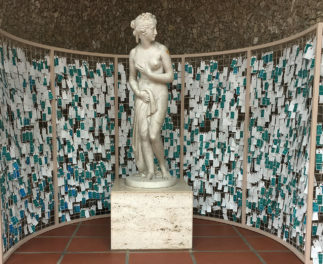 Giving visitors a chance to step away from the sun for a breather, the workshop takes place under the covered walkways in the Outer Peristyle, conveniently adjacent to the Villa’s herb garden. Becca, a graphic designer as well as an artist, laid out the lovely booklet. Colored pencils and visual inspiration help visitors sketch and imagine. 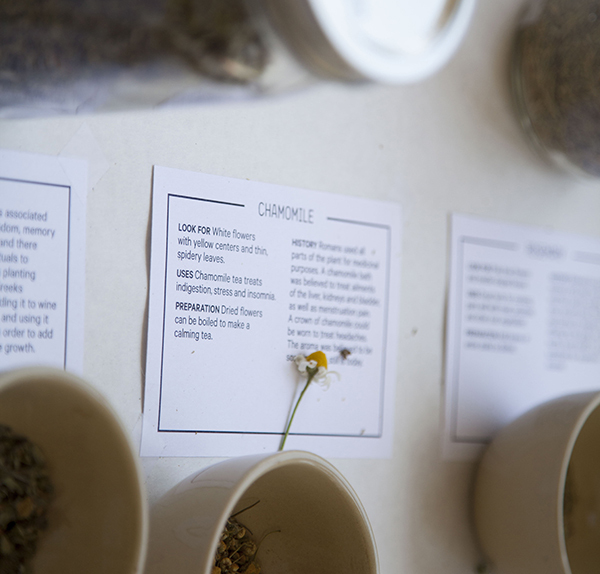 Chamomile’s calming properties have been appreciated since ancient times. 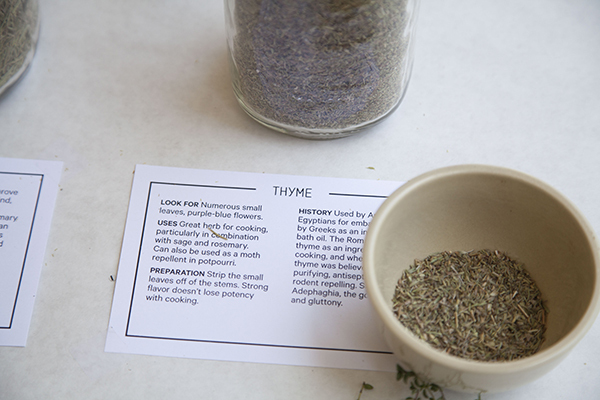 Thyme was sacred to Adephagia, the ancient Greek goddess of gluttony. Finished with coloring? Finished with your poem? Decided on the list of herbs you want? Time to fill in the bag! 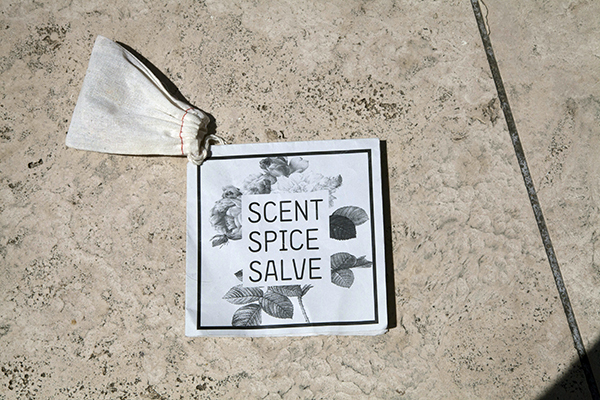 After a quick and painless hole-punching on the upper left hand corner of the booklet, the sachet can be tied to the booklet. 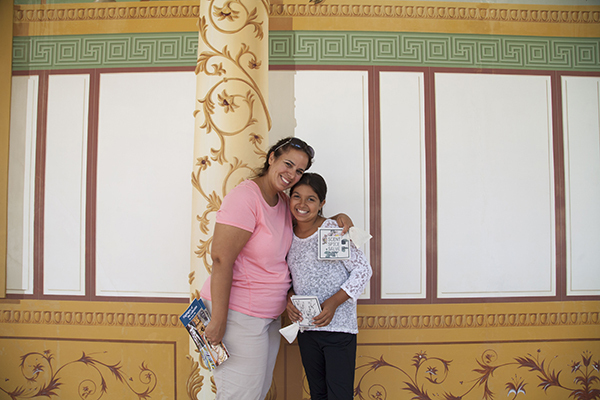 And the part adults like most….a happy child and a piece of Getty to take home! ArtQuest! 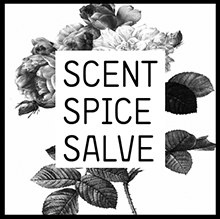 Scent, Spice, Salve is offered again on August 9 and 10, 2015, 11am to 3pm. The event is free, but make sure to get tickets in advance for the Villa!